Good morning everyone! Today we are featuring a post from Lindsey - hope you enjoy it and check out her site for more great ideas! Thanks for visiting us here! 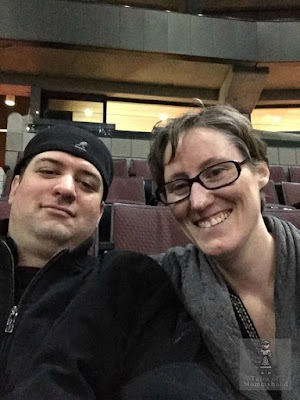 Hi, I'm Lindsey Petersen, author of the blog Evidently & Either Way, and I'm popping in to share some guest post space, and a quick little creative concept you that could keep you busy on a rainy day. First, a little background. 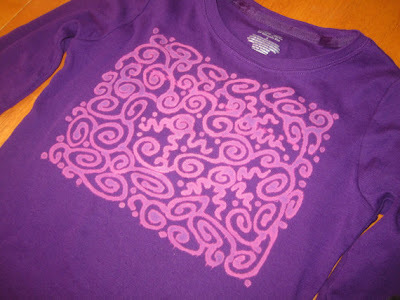 A few years ago, when bleach pens came out I started some experimentation with their magical powers on cotton-knit clothing that belonged to my kids. Over time, I managed to mess up quite a few projects thinking that the bleach pens would be as easy to use as my extensive collection of 80s puff paints. From my more recent and successful attempts, I've come to refine the process into an almost foolproof approach that's slightly less traditional than the others you may see on places like Pinterest these days. Included below I'll overview the two ways to accomplish this textile art that I'm calling "The Bleach Batik." Recently I had a creative itch that just needed to be satisfied and it just so happened that I had a rare splash of time to myself, on top of that. I whipped out a shiny new Clorox Bleach Pen along with a kid's t-shirt I bought on clearance at Target and went to work on my quest to perfect my bleach batik process. Here are the steps I followed to get the end product. Firstly, you can wash and dry the shirt first but I don't even bother with this method. The bleach is intense enough that I haven't run into any resistance with most any clothing I've tried to use. Also, some people will prefer to trace their design on the shirt with chalk first. While I see how that could be a good idea—it's also, not my style. the one thing you WILL for sure want to do is put something sturdy AND flat inside the shirt while bleaching (I used a large manilla envelope because it's what I had on hand) You may think your design will soak all the way through and make the back of the shirt equally as cool. It won't, so don't. Another one of the most important things to do prior to applying the bleach pen directly to the fabric you're working on is to practice your first few strokes on a separate piece of material. Also - SHAKE the pen thoroughly for about 20 seconds before you even take off the cap. This simple step is something I've overlooked numerous times and skipping this can ruin the entire project before you even start. During your initial strokes on the scrap fabric you'll quickly see it takes some practice to get a steady hand with the bleach. Because the goop can come out in bubbles, I've come to find that having a straight pin on hand is imperative so you're able to pop the bubbles as soon as they appear. You'll also be able to get a feel for how quickly the bleach comes out and the amount of pressure you'll need to get a steady stream. I've found that with this approach, and while I'm working out the design on my fabric, I'm constantly giving the pen a shake to drive the gel down into the tip of the pen so as to keep it from sputtering. At this point, you're going to draw your design. Don't be scared—just go for it. Follow the tracings you've laid out or just let your freehand be your guide. As you're working you may begin to see the bleach converting the color of the shirt under the design you're creating. Typically, I try to have my design completed within about 15 minutes so the shirt can process (letting the bleach do it's job) without having one part sitting for an extended amount of time while the other parts I'm bleaching are still being worked on. Keep an eye on the shirt. Depending on the pigments in your fabric, the processing could take 15 minutes or could take 30-45 minutes (average processing time for me has been around 30 minutes). If you wait too long, the bleach bleeds too far and the overall design is compromised by a huge bleach halo AND the composition of the fabric is weakened by the bleach if left on too long. Once you feel the design is bleached out enough take your shirt to a sink (preferably one with a sprayer) and begin washing out the bleach gel. Do this quickly so there is no residual bleaching from the run off. Rinse thoroughly and then wash and dry traditionally. Thus the birth of the new Bleach Batik process. If you're serious about playing around with this medium long-term, I suggest you invest in these little bottles, as linked above. The dishwasher gel is much more manageable, comes out with greater ease, and is more precise. Additionally, the dishwasher gel is much more cost effective. Lastly, unlike the white Clorox bleach pen gel, the dishwasher gel is clear. I find that it's much easier to track it's processing because you can see through it. The only drawback I've found to this method is the overall finished product looks a bit less organic than the straight bleach from a Clorox bleach pen. The lines are much more defined and the color of the bleached fabric is more white and less of a faded pigment of the shirt. Whichever route you decide to take, just imagine all the projects you can create with these methods. Customized birthday shirts, holiday shirts, gifts, hats, shoes, aprons, totes, dishtowels, socks, tights, etc. There's no end. Want to connect? Follow me on Twitter via @linzlinzlinz, stop by my blog at Evidently & Either Way, follow myPinterest Pin Boards, or swing in my very new and still developing Etsy Shop, The Bleach Batik. Good luck and Happy Bleaching! This is definitely going on my to do list for sure... I love this idea and my girls and I would have a great time doing this project. Thanks so much for posting!!! Another reason I wish I was more crafty! Those look wicked! Thanks for sharing!! I can not believe those are done by hand like that! Very cool. A great rainy day activity for sure. Oh how I wish I was this crafty!!! So cool!